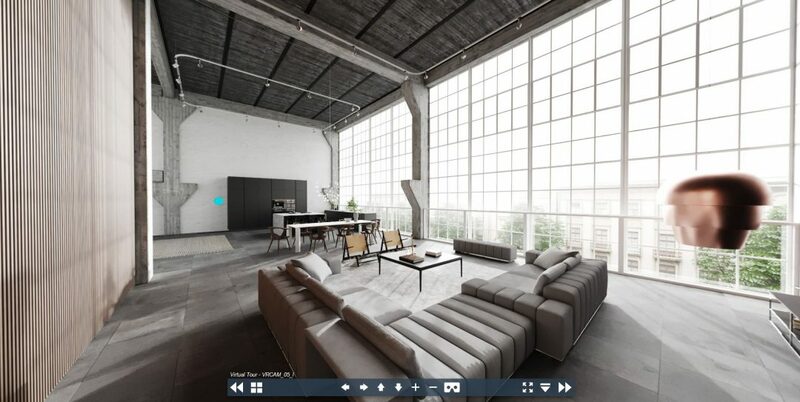 This loft appartment is an internal showcase to illustrate the convenience of 360 degree panoramas. With this setup architectural sceneries can be easily experienced in immersive panoramas. Mulitple locations can be connected to gain a complete impression of any scenery. 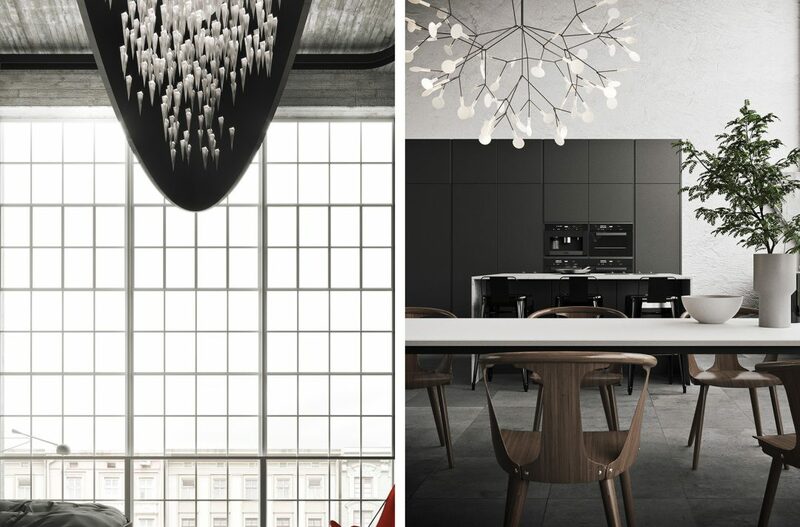 Especially architectural interiors as in this complete appartment may be well visualised. Technically these panoramas offer several advantages:The panoramas can be accessed by any browser and don’t require specific softwares to be experienced. They are especially powerful in conjunction with mobile devices, since the requirements for hardware are fairly low. The setup allows to experience spaces in full 3d with the use of stereo glasses, which even enhances the immersive experience. To access the panoramas only any device with a browser system is required. For 3d-glasses a simple set of stereo lenses in a smartphone holder are sufficient. The 360 panoramas is a good alternative to “full” 3d VR-setups. In fact in our experience most people would not really be able to distinguish both approaches. The basic difference is, that for the panoramas the underlying graphics are rendered in advance. Like regular 3d illustrations the images are calculated beforehand as 360 degree panoramas twice for both eyes separately. Each point of view requires an additional twinset of images. This is opposing the realtime image creation of “real” 3d-engines. As a drawback motion is restricted to selected points of view, but then again, it is possible to make full use of any offline rendering engine to allow maximum image quality. Just stay with the crosshair on the little box-icons to change your point of view! A phone and a simple mount is all you need. Change your view by just moving the phone around. The integrated sensors in the phone will influence the viewing direction. The panoramas certainly offer an immersive spatial impression with a high degree of transparency due to the 360° nature.